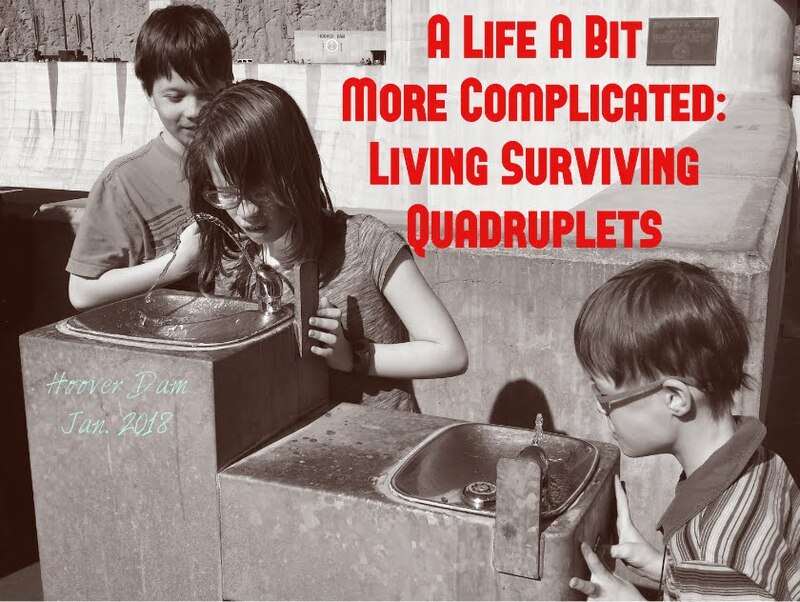 I am the mom of surviving quadruplets. My blog covers the birth of my children, their special needs, therapy, homeschooling and what it's like to be the mom to these special kids! good-bye. In some ways I greatly resent the hospital and doctors there for this. We had NO idea she was having problems until the nurse showed up at my doorway and said one of the babies was in distress and I should come right away. She asked, know I had just had an emergency C-section, if I was able to go. I told her, "Yes, I would make it somehow." I arrive and find out the doctor knew for a long time she was in dire trouble but did not inform us. It breaks my heart to think of the time I missed to be there with her. The doctor is standing there explaining the situation and I am in shock. I cannot even pay attention to what he had to say. I never though Martha was going to pass away. She was a girl and the second largest baby of the group. 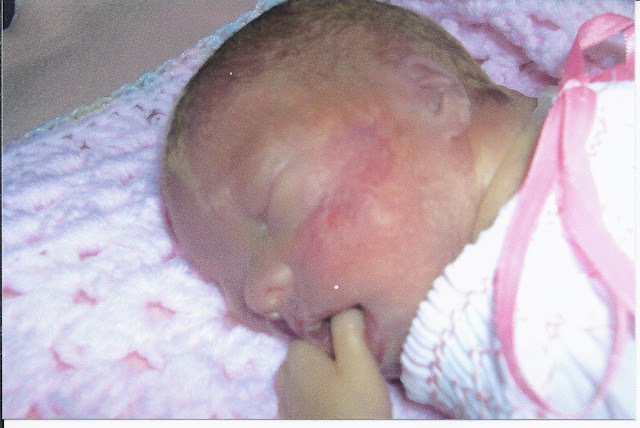 All odds were in her favor to survive and make it through the premature birth. She bucked the odds though. The doctors told us she was heavily sedated. As I was talking to her and stroking her arm I saw one of her eyes open. I took it as a sign that she knew I was there. I sat in my wheel chair and I wanted to get closer to her but she was in her NICU bed. The doctor saw what was going on and said the nurses should take all the wires off of her. They left the ventilator in but removed everything else so I could hold her. For about 40 minutes I got to hold my precious baby as I watched the oxygen levels slowly drop. It was so hard to hold her in my arms knowing her life was slipping away. I wanted to scream at the doctors to fix her but I knew it was not possible. The pain is unimaginable to lose a child like this. So many thoughts were running through my head. The loss of her sibling getting to know her and play with her. That my daughter Margaret would now be the only sister to compete with two boys. That I would lose my tea and make-up play dates. There would be no picture of her first day in Kindergarten, there would be no friends coming over to the house asking to play with her, no boyfriend, future husband, or children. I had envisioned this whole life for her and she would get to experience none of it. It makes me weep, even now, thinking of it. When her heart finally faltered and stopped beating I cried even more. John had been stroking her head telling her that we would miss her but it was ok to go. That we did not want her to be in pain any longer. This was the toughest time in my life I have ever experienced. It is not right to have your children pass on before you do. One day though I am planning to see her in heaven. I love you my darling girl! Here is another picture of my little baby but it was taken after she passed away. I'm so glad you posted about your angel. She is just beautiful. Thank you Jennifer! Martha was a beautiful little girl. She had beautiful red hair like Margaret when she was little. I look at Margaret and often think of Martha and what she would look like today. I miss my sweet little girl. Kid-isms: Good to Know Heaven is in Canada! Fluid Reasoning: What Does it Mean? What is Dyscalculia and Dysgraphia? Ad For Nanny - Are YOU my Mary Poppins? Lack of Effort or Slow Processing Speed?